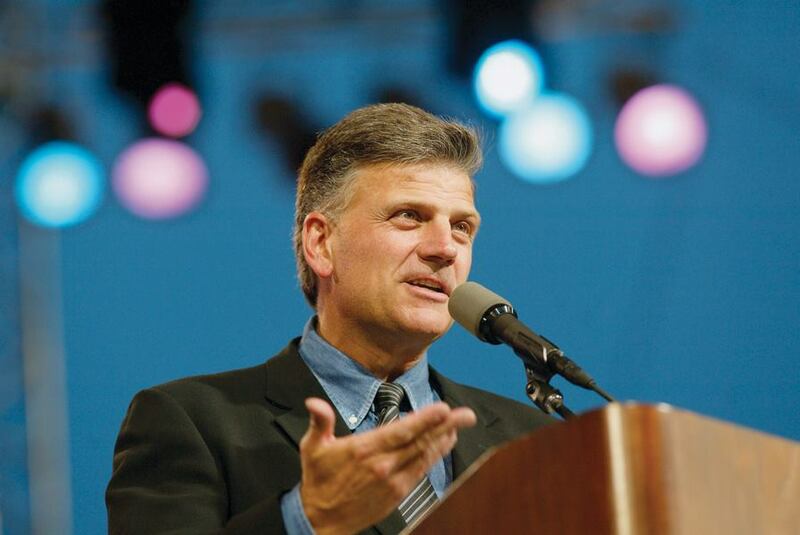 The Festival of Hope lead by evangelist Franklin Graham is scheduled to take place in Vancouver, early March next year. The citywide movement is all set to happen at the Rogers Arena that can seat up to 18,000 people, according to the venue's website. However, the evangelistic crusade has garnered opposition from local Christian groups. Initially, three of the local pastors turned down a request to endorse the festival, put forth by the Billy Graham Evangelistic Association. According to more recent news, two other Canadian Baptist pastors have joined in opposing the rally. Tim Kuepfer, pastor of the First Baptist Church of Vancouver, and Tim Dickau, pastor of the Grandview Calvary Baptist Church, are averse to the idea of Graham representing the face of evangelism. "Given that the express goal of this event is evangelism, with the commitment of new believers to Christ, we do not believe that Rev. Graham, with his expressed broader belief system, should be the exemplar that impresses itself upon these new believers," the pastorate decried. It appears that Franklin Graham's public comments are primarily the reason that sparked off this growing opposition. The members of the clergy went on to add, "His ungracious and bigoted remarks have the potential to generate serious negative impact on the Christian witness in Vancouver. For this reason, we are unable to encourage such an event in its current form." Baptist News reveals that the local pastors were not the only ones on the opposition panel. Other prominent figures taking the side of the priesthood include Ken Shigematsu, a senior pastor of the Tenth Church, Marjeta Bobnar, who coordinates the ecumenical and interfaith religions at the Roman Catholic Archdiocese of Vancouver, and Tom Cooper, who is the president of the local charity City in Focus.